'Nesbit opened the door in the magic wardrobe, pointed the way to platform nine and three quarters. She even had a hand in building the Tardis. And these are among her minor achievements. She is also simply the funniest writer we have ever had' Frank Cottrell-Boyce 'This is the story of one of the most far-reaching and influentially naughty things we ever did in our lives. We did not mean to do such a deed. And yet we did do it.' After being banished to the countryside for creating even more mayhem than usual, the Bastable children vow to mend their ways. 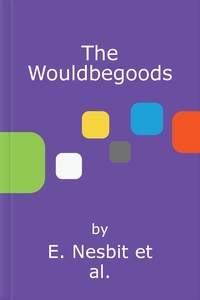 Establishing 'The Society of the Wouldbegoods', their first rule is: 'every member is to be as good as possible'. But sometimes it's just not possible to be good - no matter how hard you try. A collection that will be coveted by children and adults alike, this list is the best in children's literature, curated by Virago. These are timeless tales with beautiful covers, that will be treasured and shared across the generations. Some titles you will already know; some will be new to you, but there are stories for everyone to love, whatever your age. Our list includes Nina Bawden (Carrie's War, The Peppermint Pig), Rumer Godden (The Dark Horse, An Episode of Sparrows), Joan Aiken (The Serial Garden, The Gift Giving) E. Nesbit (The Psammead Trilogy, The Bastable Trilogy, The Railway Children), L. M. Montgomery (The Anne of Green Gables series) and Susan Coolidge (The What Katy Did Trilogy). Discover Virago Children's Classics.